Truth in medicine is seldom shared. The truth is, we can not isolate what God has created in the whole without consequence-- especially when it is for personal gain as in patented medicines. You will always find beauty from this site. A beautiful bursting of natures ability to color a mountainside as you spoke of in Africa. One of the flowers capturing my attention in Florence Botanical Garden comes from far Africa.It’s hard to imagine African hill slopes covered with clivias in orange, yellow or red ,it must look like in Eden! The flower was sent to Europe around 1823 and become extremely popular in Victorian England homes and gardens.Many hybrids have been grown up to today,with colors from apricot , orange ,yellow, white and even dark red,the leaves broad or narrow or even in bi-color.Searching internet pages I found thousands of pretty pictures of the flower,but the one I was searching for was missing. Clivia bears her name in honor of Lady Charlotte Florentine Clive, Duchess of Northumberland, an avid plant enthusiast,it was in her garden that Clivia blossomed for the first time in Europe.I was unable to find any picture of this English lady,so here is the picture of her husband,at least. Shirley Chisholm, fourteen years my senior, was certainly a star advocate for human rights in Brooklyn, NYC. Our paths never crossed, but came very close. As Chaiman of a Parent Teachers Association for a pilot educational program, who publicly opposed the doings of Samuel Wright former NYS Assemblyman, the community struggles were fierce. It is a warming of my heart to see SC, being not only remembered, but her legacy continues. 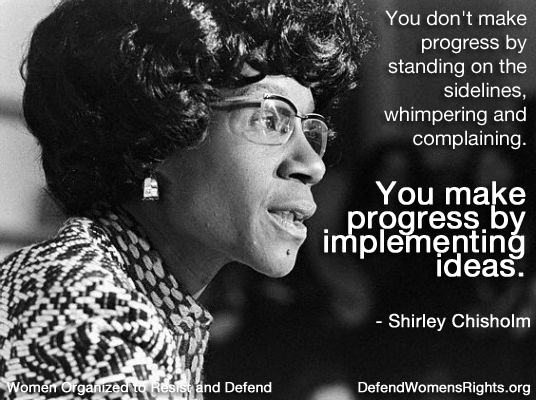 In honor of Shirley Chisholm Day, WORD is circulating the above graphic on social media. We celebrate Chisholm’s contributions to the struggle for women’s reproductive rights, health and justice, and honor her pioneering role as a woman of color in U.S. politics. Please continue to share this image widely. WORD – Women Organized to Resist and Defend – was formed by longtime activists from a number of struggles. Our commitment to those struggles continues as we move forward in the struggle to defend women’s rights. We are dedicated to fighting racism, sexism and anti-LGBT bigotry. We believe strongly that an injury to one is an injury to all, and our involvement in the continuing struggles of oppressed people across the United States continues.